If you're like me, and love to read, but struggle to find the time to do so, shorter books and books that are easier to read will be right up your street. In steps We Were Liars, a young adult novel that is only 225 pages long! If that doesn't grab you, then the fact that it has a rating of 4.8/5 from Waterstones, and 4/5 from The Telegraph might just do the trick. I know that this book has been 'big' for a while now, with the likes of Zoella featuring it in her book club recently, but I feel like it's about time I put my opinions of it out there. This is a spoiler free zone, so if you haven't read the book, don't worry! This novel follows a teenage girl, Cadence, as she tries to remember the accident she was involved in during one summer on a private island. She is helped by her group of friends that also stay on the island every summer, Johnny, Gat and Mirren. At times, it can become quite difficult to follow the plot, as Cady suffers from migraines and often takes pills, so we're never quite sure if what she's saying is true. The writing can become choppy with no notice and there are metaphors everywhere. But that's what makes this book quite interesting. It constantly leaves you guessing, and picking it apart to find clues as to what the bloody hell is going on. Throughout the book, there are themes of self-acceptance, morals within a family dynamic, and facing the consequences of your own mistakes. Sounds gripping, right? I haven't even got to the best part yet! If there's something that this book is famed for, it's the big twist that E. Lockhart so cleverly came up with. I've seen a whole bunch of people say that they had no clue that the twist was coming, and if I'm honest, I kind of guessed that it would be coming. In my mind, there are two halves to the twist, and I only guessed one half, so I was still a bit taken aback! Apparently, it's very obvious if you go back and really look, which I haven't had chance to do yet, but I'd really like to. If any of you do end up reading this book, I would absolutely love to know if you worked out what was going to happen, or if you just blindly guessed it like me, or if you had no idea at all. 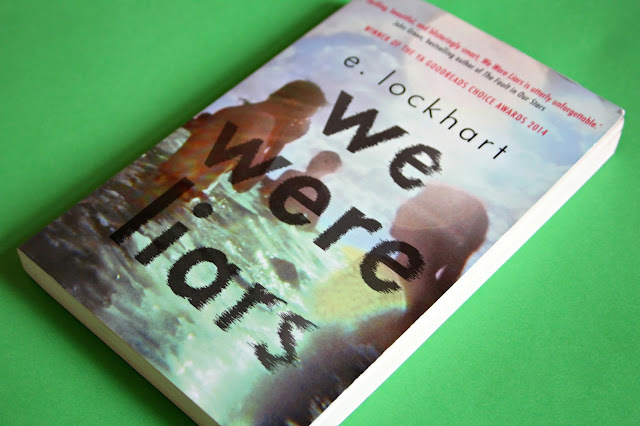 One downside that I found whilst reading We Were Liars was that I struggled to connect with Cady. Yes, I was interested to know what had happened to her, but I found it so difficult to get on her level, if that makes sense? At times, I found her pretentious and she would moan about nothing. She would come across as spoiled and totally unaware of other people, like the staff in island homes. I don't know if this was intentionally done because she comes from a family that is so rich, they don't talk about money, and she's supposed to be hard to relate to. On the other hand, I really loved Gat. I found him easy to sympathise with, and I admired his intelligence. Mind you, I didn't understand why he would waste so much time on Cadence, but each to their own! He was just a really likeable character, and I think everyone that reads this will love him too. So this is definitely not your average young adult novel. It's suspenseful, dramatic, poetic at times, and twisty. It's won the Goodreads Choice Award for Best Young Adult Fiction, and was listed as an ALA Top Ten Best Fiction for Young Adults. If you can manage to get past the choppy writing and the unrelatable protagonist, give this a go! 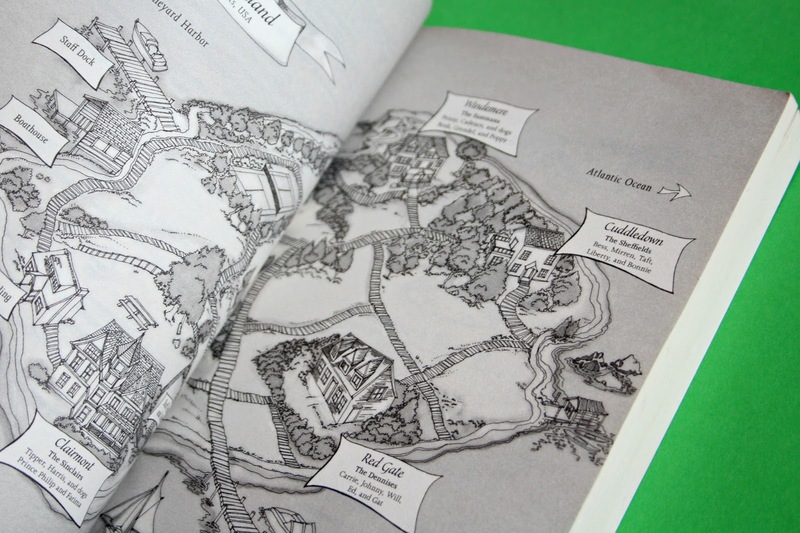 It can easily be read over a weekend, or over a few nights, and there's a useful map at the beginning if you get confused about the location of scenes. I would give it a 3/5, and I probably will read it again, as I want to see how obvious the clues were for the ending. If you are interested in reading it, don't cheat and Google the ending. Tell me if you figured it out!